When you work in the beauty industry, your webstore needs special requirements. It has to not only be clear and understandable for customers, but beautiful as well. Also, when you don’t only have an online store, but several brick-and-mortar ones in different countries, your website must be easy to customize and manage. To achieve both of these goals, one of Denmark’s biggest beauty online store chose BelVG to work with their website. 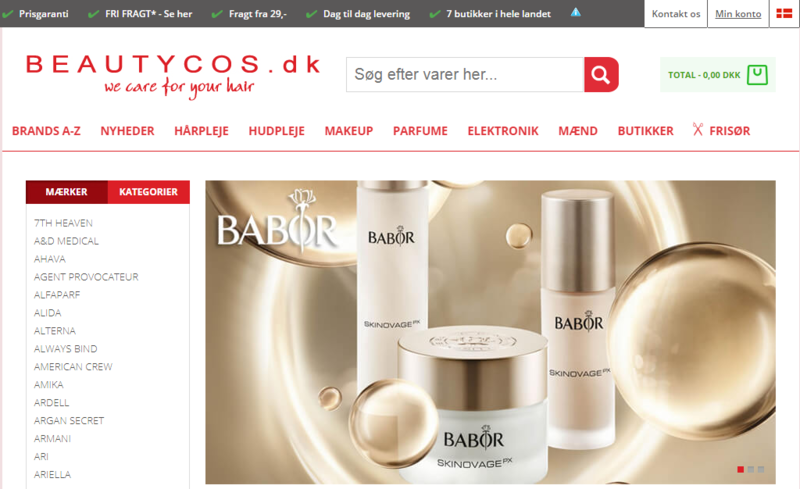 Beautycos is one of the largest online stores in Denmark, which also operates in Germany. They work with more than 70 cosmetics brands and specialize in hair products. Beautycos is not just a simple store. There are professional hairdressers, skin care and nail experts in their team. And customers from both countries can find useful information that helps them improve skin and hair health. 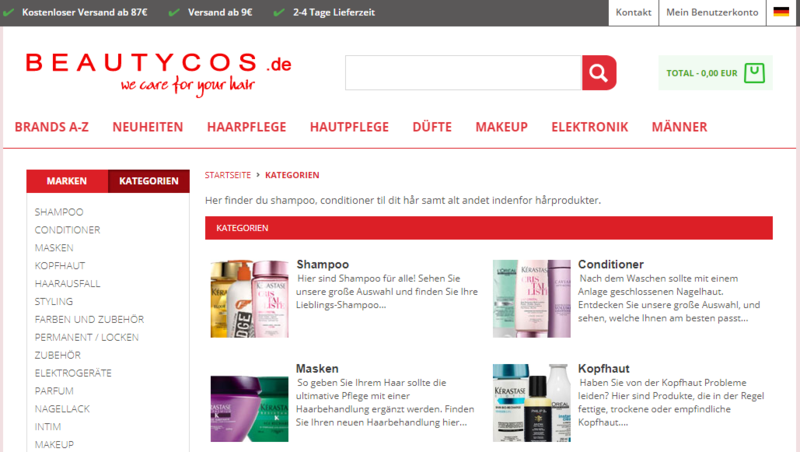 Beautycos came to us with an already working Magento 1.9 website with two language versions and more than 20 000 products. The task was to adjust their store for both Denmark and German local markets and fix all frontend and backend bugs. page adjustment for the German version of the webstore because of the language features. opportunity to embed YouTube videos. It took us 7 months to rise to the challenge. And now we are proud of a more simple, informative and good-looking website. Don’t forget to visit the Beautycos Magento webstore.